Quick Connect Web Services custom created both the design and the development of the Paul Essman Research website. They previously had no site and QC was able to work with Mr. Essman to customize the site to his liking. The website was built using a custom WordPress theme developed specially for the paulessmanresearch.com. 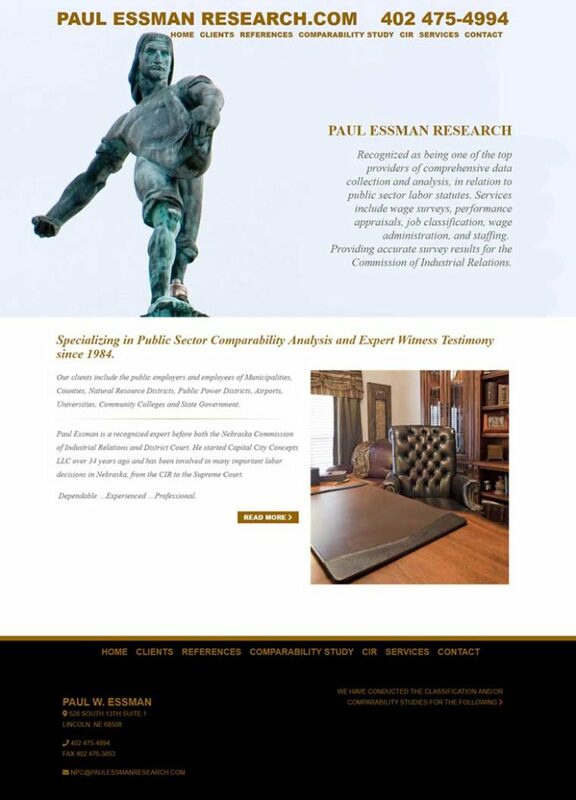 The Paul Essman Research website was designed and developed to be fully responsive. A responsive layout allows the website to resize appropriately across a wide range of devices including desktop computers, laptops, tablets, and smartphones. Quick Connect will continue to monitor the website, performing maintenance, updates, and changes as needed. Do you need a website? Is your site old and outdated? Call us today we can HELP your website! ⟵PCI Compliance – Are you ready?